Do you want to own a house of your dream and facing some financial constraints, then Rama Properties is the name you can look upon! We assist the clients in getting the prompt and easy property loan at most minimal interest rates. 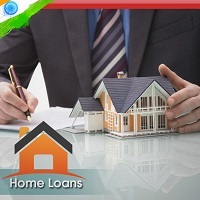 We are a well-known Home loan consultant in Faridabad offering most effective solutions to the clients. Our consultants assist the clients in getting loan with minimum paper work and ensure a hassle fee working process. We are associated with some of the reputed name such as ICICI Bank, HDFC Bank, etc who enable our clients to get easy loan for all kind of properties. Moreover, our qualified team of professionals assists the clients in getting the most easy loan solutions as per their requirements. Today, we are counted as a prime name providing easy Property loan in Delhi/NCR. We also provide Commercial Property Loan and Loan against Property in Delhi/NCR.